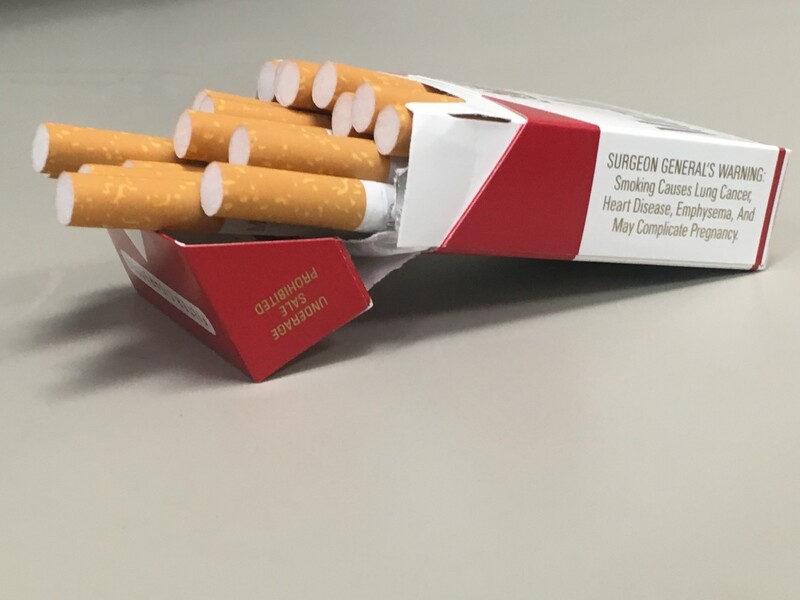 Oklahoma's cigarette tax would rise to $2.53 a pack from $1.03 if proposed increase passes. In a time of tough budget decisions, some Capitol watchers say this could be one of the most straightforward choices the Oklahoma Legislature makes this year. With a few quick floor votes lawmakers could raise more than $180 million a year and help battle the scourge of lung disease, all with a tax that many state residents will never pay. But passing the proposal to raise the state tax on a pack of cigarettes by $1.50 is far from a done deal despite the backing of Gov. Mary Fallin and a coalition of healthcare advocates. The state already taxes cigarettes $1.03 per pack. That’s because forces opposing the tax include tobacco companies, cigarette retailers and conservative anti-tax advocates in a state with one of the nation’s highest smoking rates. At the start of the legislative session, Senate Pro Tempore Brian Bingman, R-Sapulpa, didn’t think he had the votes in his caucus to even get the simple majority needed to put the proposal on the ballot. But he said last week that the state’s growing budget pressures could convince enough members in House and Senate to get both chambers to the three-quarters supermajority threshold needed to pass the tax hike without voter approval. “I would just say the people pushing the legislation seem encouraged,” he said. A bill has yet to hit the House or Senate floors, and many of the details of the proposal remain unknown. But supporters have floated the idea of using the extra money to pay for a Medicaid rebalancing plan that would prevent healthcare provider cuts, give raises to teachers or avert budget cuts elsewhere. And with lawmakers scrambling to find ways to fill the state’s $1.3 billion budget gap, the cigarette tax increase is one of the options with high public support. A recent poll found that 74 percent of registered voters would strongly or somewhat favor higher taxes on tobacco products. That’s compared with 55 percent in favor of collecting sales taxes on Internet purchases and 37 percent willing to hike the fuel tax, according to the Cole Hargrave Snodgrass & Associates’ Sooner Survey of 500 Oklahomans. And that’s not to mention the potential public health benefits. A legislative analysis of the proposed $1.50 increase projected that cigarette use would drop by 34 percent if the tax passes. But there remains a good amount of opposition–within the Legislature and outside of it–towards the tax hike. Who’s opposing the tax and why? Recently filed campaign documents for the first quarter of 2016 show that the Altria Group, the Virginia-based tobacco giant formerly known as Phillip Morris, has donated $3,250 to eight Oklahoma lawmakers. The group also made a $500 donation to another lawmaker in the final quarter of 2015. The recipients are Sen. Larry Boggs, R-Red Oak ($500); Sen. Greg Treat, R-Oklahoma City ($500); Rep. Charles McCall, R-Atoka ($500); Rep. Pat Ownbey, R-Admore ($500); Sen. Dan Newberry, R-Tulsa ($500); Rep. Mike Christian, R-Oklahoma City ($500); Rep. William Murdock, R-Felt ($250); Sen. Anthony Marlatt, R-Woodward ($500), and Rep. Cory Williams, R-Stillwater ($250). Past campaign finance records show that the two largest tobacco companies in the country – Altria and and North Carolina-based R.J. Reynolds Tobacco Co.–have made more than $104,000 in campaign donations to Oklahoma legislative or statewide candidates since 2004. A study published late last year in the Journal of the Oklahoma State Medical Association asserted that these contributions likely played a role in influencing the Legislature on several key tobacco-related bills during the past several years. The report, authored by three current University of Oklahoma researchers, found an association between tobacco PAC money and pro-tobacco votes. While noting the difficulty of determining the true motivation behind a lawmaker’s vote, the study concluded that tobacco influence is “enhanced” when even modest campaign contributions or gifts are made to selected lawmakers. Doug Matheny, who retired in 2011 from his position as chief of the tobacco use prevention service in the Oklahoma State Department of Health, was lead author of the study. He said industry lobbying efforts are troubling since tobacco companies often hide their true motivations from lawmakers and the general public. “Internal tobacco company documents show their real concern is that raising cigarette prices reduces smoking, especially among kids,” Matheny said. Oklahoma Ethics Commission records show that 10 lobbyists with ties to tobacco interests are registered with the state. They include three lobbyists for Altria and four for Reynolds. Lobbying reports show the 10 registered tobacco company representatives have contributed about $7,650 worth of meals and gifts to lawmakers and other officials from the start of the year to the end of April. But almost all of those lobbyists also represent other groups, so it is unclear how much, if any, of those gifts came from tobacco lobbying efforts. The lobbyists did not respond to requests to comment from Oklahoma Watch on specifics of their lobbying activities or what arguments they presented to policymakers. A 14-page document prepared by Altria and released to the media and others provides a glimpse into how the tobacco giant is making its case. The report, titled “Raising Cigarette Taxes Harms Oklahoma,” largely avoids confronting the well-known health risks tied to tobacco use. Instead, the tobacco giant focuses on the economic impact of a tax increase. This includes the arguments that the tax will harm retailers, weaken economic growth, increase illegal smuggling, burden low-income residents and create an uncertain revenue source for the state. “The U.S. economy is still struggling to recover from the current economic crisis,” the report states. “Tobacco tax increases would result in negative, unintended consequences. David Sutton, a spokesman for Altria, said his firm shared this report with lawmakers as one of their lobbying tactics. He said a government affairs representative, along with contract lobbyists working in Oklahoma City, also have had conversations with lawmakers to explain the company’s views. “It pretty much works the way most groups engage in lobbying,” he said. Altria and Reynolds are also soliciting Oklahoma retailers and taxpayers to convince their representative to oppose the tax. Altria provides a link on its website to a page where a visitor can enter his or her address. The site will generate a pre-written letter opposing the tax, and send it directly to that person’s representative. Reynolds sponsors a similar website that directs visitors to fill out a form that will be sent to their representatives. It requires the user to write the text of the message. The letters from both of the sites make no mention that Altria or Reynolds was soliciting the message. Cox, the six-term Republican lawmaker who backs the tobacco tax, said he has received several of these types of letters from his constituents. He said they appear nearly identical except for the name of the sender. Tobacco firms aren’t the only ones opposing the proposed tax increase. Convenience stores, such as Tulsa-based QuikTrip, and cigarette wholesalers are also lobbying the Legislature to reject the proposal. Rick Bahlinger, a sales manager for Standard Distributing Co., a Sapulpa-based convenience store supplier, said he and others having been busy making calls to lawmakers in the past weeks. He said the increase would add thousands of dollars to the upfront costs that wholesalers pay since they have to purchase cigarette tax stamps in advance of collecting the tax revenues. Bahlinger also predicted that casual and organized smuggling would cost the state millions of dollars if the tax were raised. That’s because increasing the state’s tax on a pack of cigarettes from $1.03 to $2.53 would boost Oklahoma from the state with the 33nd highest rate in the county to the 10th highest. It would also make Oklahoma’s tax the highest among all bordering states. Since Missouri has the lowest tax rate in the country at just 17 cents per pack, it would be $2.36 cheaper to buy a pack of smokes there than in Oklahoma if the tax increase passed. This discrepancy between Oklahoma’s rate and the bordering states is one of the main issues of concern from lawmakers who have come out against the proposal. The conservative Oklahoma Council of Public Affairs also opposes the tax. Johnathan Small, president of the think tank, said since tobacco use is more common among low-income residents, the proposed tax hike would disproportionately hurt those who can least afford it. He added that if lawmakers were serious about reducing the health risks associated with smoking they should pursue another option: Ban tobacco use altogether. Lawmakers are also feeling pressure from conservative groups that argue this tax, along with any other new taxes, should be rejected. Americans for Tax Reform, which is led by conservative Grover Norquist, sent a letter to members of the Legislature on Feb. 15 urging them to reject any tax increases this session. The letter singled out the tobacco tax. “It’s not just bad policy; it’s fiscally irresponsible to harm state small businesses and individuals in an attempt to reap funds from volatile revenue sources like cigarette sales,” the letter stated. The Americans for Tax Reform lists 25 members of the Legislature who have signed the group’s pledge to oppose any and all tax increases. Fallin signed the pledge when she was running for governor in 2010. But she supports the cigarette tax increase. Cox, who can’t seek re-election because of term limits, also acknowledged that politics is affecting the behind-the-scenes debate within his caucus. Fallin didn’t specifically say how she would like to use the extra money when she announced her support of the $1.50 tax earlier this year. Michael McNutt, a spokesman in the governor’s office, said adding a sizable amount of revenue is important regardless of where it goes because of the state’s budget situation. But he said the health benefits–along with the related cost savings to the state that would come along with it–are the main reasons Fallin supports the proposal. “You can’t put a price on health,” he said.